I have this problem. Maybe you have it too? I sometimes say yes to things because I fear no one else will. And because everyone is looking at me. Sometimes I say yes because I want to direct that play or write that post or read that book, but I don’t consider if I’m really ready to handle that situation in my current life. Then I realize–I’m in way over my head and I’m not equipped to do this thing. Whatever it may be. That happened when I took the position as MOPS coordinator for our local chapter three years ago. I had a new baby, had been staying home a year, had served already on the leadership team, was the only member of the sponsor church left on the team…of course I would lead this group because I needed it so badly in my own life. It’s really hard to serve when you want to be served yourself. Just so you know. And I kept being told that God equips the called, rather than calling the equipped. While I do believe that, I also believe that sometimes God is shaking his head when I’m nodding mine. I can look back on those two years of leadership now and see God’s hand. That he let me be a bridge leader that helped the group transition to the amazing ministry it is now–and not that it wasn’t great then. But He let me lead during a crisis time when everything felt unsettled and He let me see that even when I know I’m not equipped, He is. So he gave me people on my team who buoyed me up, met my soul-hungry needs for spiritual support, and helped me find where my gift truly lies. And I can be okay with “not being good enough” at that because I’ve found where my spirit truly quickens. Saying those words took a lot of over coming that big not-good-enough lie too. I don’t have enough followers. I can’t understand all the lingo. No one’s really paying me to do this. But I’m doing it. I’m saying it. I’m claiming it. I’m believing that I am good enough for whatever I may be called to do with this gift. And I’m learning everyday that I can do more than I ever imagined. 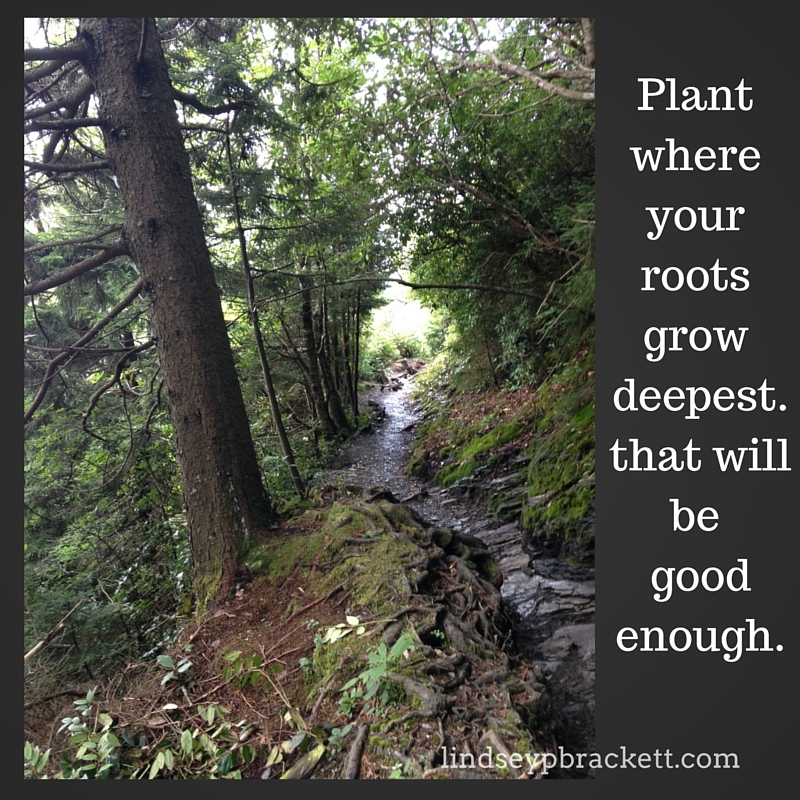 I’d encourage you to ask yourself–is it that you feel “not good enough”? Or is the true wrestle in your soul coming from the feeling that you’re not where you’re supposed to be? and are always good enough.